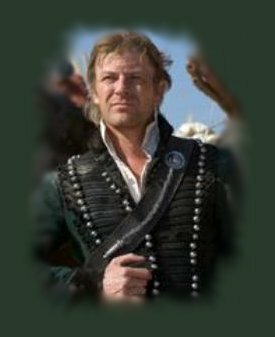 The Sharpe Compendium • Everything you wanted to know about Richard Sharpe but were afraid to ask. Whether you're an avid reader and watcher of the Sharpe series, or just an occasional consumer, it is all too easy to forget Bernard Cornwell has given his character a full life, rather than just an episodic one. 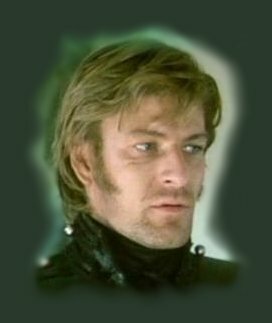 While it is noticed that Sharpe's screen personification varies between the Cornwell books and the televised series a good grasp of Richard Sharpe's history can be assembled. 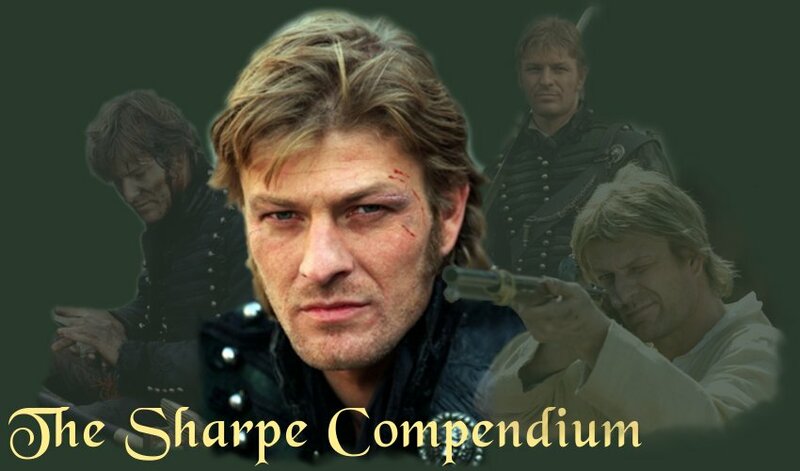 Based primarily on the books and The Sharpe Companion books by Mark Urban, an approximate history of Cornwell's fictional character can be assembled. Richard Sharpe, to the best of assumptions, was born in July, 1777, in a house near Howick Place, Westminster, London. His father was unknown, his mother being a prostitute who died in the Gordon Riots in June, 1780, when Sharpe was three. He was turned over to an orphanage/workhouse, most likely Tothill Fields or Bridewell, being the primary institutions for that area of the city. Condemned to a childhood picking oakum, unpicking hemp and washing laundry, the notorious master of the orphanage, Jem Hocking, sold the young Richard to a chimney sweep in 1789. Determined not to succumb to an early grave, Sharpe promptly ran for the anonymous cover of the St Giles 'rookery' where he eventually fell under the tutelage of Maggie Joyce who ran a ginhouse in Goslitt Yard. 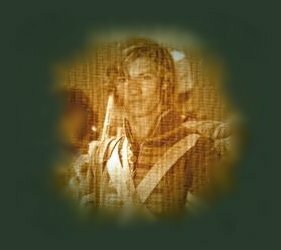 She looked after Sharpe, teaching him to steal and love, until 1793 when at the age of sixteen Sharpe killed an inn-keeper who had 'connections' and was forced to flee to Yorkshire. Just months later, at the age of 17, he killed his second man in a knife fight attempting to protect a serving girl he had become enamoured of when she was preyed upon by the unscrupulous owner of the coaching inn where he was employed. After a few weeks on the run, he came across Obadiah Hakeswill and subsequently "took the King's shilling", joining the ranks of the King's 33rd Foot. Goaded and falsely accused by Hakeswill, Sharpe received 202 lashes of a 2000 lash sentence when Colonel Wellesley intervened. Sir Arthur Wellesley would go on to become Field Marshall Wellington and Duke of Wellington. In early 1799, Sharpe's life took a dramatic turn that would see him become a favorite tool of the ambitious future Field Marshall Wellington. He also received the first of many wounds from a Lancer of the Tippoo Sultan's army and was subsequently held in the dungeons of Seringapatam for many months. It was there that William Lawford taught him to read and write. Sharpe escaped during the siege by the British Army, killing the Tippoo Sultan in or near the Water Gate and stripping a King's ransom in jewels from the body. Sharpe was promoted to Sergeant in the 33rd Foot for the services he provided during the siege of Seringapatam. In 1803, after serving for 4 years at the Armoury in Seringapatam, Sergeant Sharpe was commissioned Ensign after saving the life of Sir Arthur Wellesley at the Battle of Assaye after Wellesley's horse, the grey Arab stallion 'Diomed' was piked, dismounting Wellesley in a concentration of enemy troops. No longer a member of the King's 33rd, he was assigned to a Scottish regiment where due to the clannish nature of the Highlanders, he began experiencing what it meant to be an outsider. Sharpe stayed in India until late 1805 when he was accepted on exchange into the Experimental Corps of Riflemen as a Second Lieutenant of the 1st Battalion. In 1806, he exchanged regiments again, taking a few soldier volunteers with him, into the 2nd Battalion of the now 95th Rifles. The 2nd Battalion had been formed in May 1805 from drafts of men from Hythe Barracks. Sharpe narrowly missed out on the failed Walcheren Expedition. He was supposed to miss out on the Denmark Expedition, but thanks to the intervention of an old ally, he was assigned a special mission that took him into the heart of the bombing of the city of Copenhagen. Sharpe was far from a successful officer for the first few years of his commissioning, finding difficulty in adapting to what could only have been a completely alien way of life to the gutter-born orphan. Senior officers and fellow officers viewed him as "not one of us" and many instinctively disliked him for not being born a 'gentleman'. He often found himself the subject of lewd discussion as a result of his tragic affair with the widowed Lady Grace Hale. Firmly self-assured that he was a better soldier and fighting man than his peers and superiors, save for one man, Sir Arthur Wellesley, by this time Sharpe was openly resentful and had a sizeable chip on his shoulder even while racked with bouts of guilt, depression, disappointment and self-doubt. Typical of "up from the ranks" officers, he was made Quartermaster as he knew all the tricks of the trade and could manage the books independently. Sharpe's next round of war experience was when he went with the 2/95 to the Peninsula in 1808, again under Sir Arthur Wellesley and fought at Rolica and Vimiero in General Fane's Brigade. When Wellesley was replaced by Sir John Moore, Sharpe went with the army into Spain and took part in the terrible Corunna Retreat, where he served in the rearguard action with the 2/95th on the Vigo route with Crauford's Light Brigade. It was at this point that Cornwell's book, Sharpe's Rifles, pick up the story of the erstwhile Lieutenant Sharpe. Meeting Michael Hogan upon his return to the army from Santiago de Compostela, he was employed by him on reconnaissance duties in Northern Portugal until 1809. Wellesley, having returned to command, decided to move into Spain once more (Sharpe's Eagle). Attached to a regular Army Light Regiment, Sharpe's long relationship with the South Essex Regiment began at this time. After Salamanca and Garcia Hernandez and recovering from wounds received from Leroux, Sharpe was given his first independent command and promoted to Major by the Prince of Wales, the Prince Regent, himself. He also made a relentless enemy of Ducos that would haunt him well after the end of the war. Shortly after, his wife, Teresa Moreno, was shot at Adrados by Obadiah Hakeswill, Sharpe's old enemy from India. Hakeswill was apprehended and executed after a court-martial. Sharpe's motherless daughter, Antonia, was sent to Badajoz to Teresa's family to be raised as a Catholic and Sharpe never saw her again. With the French falling back, 1813 saw Sharpe falsely accused and subsequently 'executed' for a murder engineered by Ducos. He exposed the plot surrounding the Treaty of Valencay (Sharpe's Honour) and fought at the Battle of Vittoria, where the French were routed and chased from Spain. Sharpe and Harper secreted enough loot from Emperor Joseph's baggage train to become rich men. Returning to England (Sharpe's Regiment), he uncovered the crimping scheme of Sir Henry Simmerson and Lord Fenner. He returned to Spain with enough replacements to fill out the 1st Battalion of the South Essex Regiment with the reconstituted 2nd Battalion supplying a steady draft. The personal outcome of the adventure was his subsequent marriage to Jane Gibbons. Participating in the invasion of France, Sharpe fought across the Pyrenees, assuming command of the Prince of Wales Own Volunteers (South Essex Regiment) on the death of Colonel Leroy. At Toulouse, at the close of the war, he foiled the evil plans of Ducos (Sharpe's Revenge). He also experienced the heartbreak and disappointment of his wife as she ran off to England, there to steal all of his money and take up with another man. His nemesis, Ducos, met death by firing squad by his own countrymen while Sharpe found peace, love and security with the widow Lucille Castineau, Vicomtesse de Seleglise. One adventure that Bernard Cornwell did not write of was Sharpe's return to England after he had defeated Ducos and cleared his name. Sharpe witnessed a country torn by class strife, poverty versus the wealthy, laborers versus mill owners and the rise of the less honourable merchant class in the early days of the Industrial Revolution. 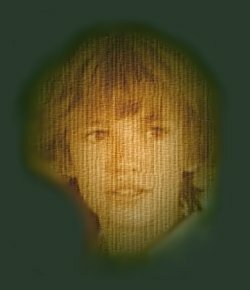 He also discovered a half-brother and the true story of his mother, his birth and abandonment. It became plainly evident to him that there really was no place other than Lucille's farm in Normandy that he wanted to be. During the "long" peace that followed the abdication of Napoleon, Sharpe became a farmer in Normandy with Lucille, the woman who tried to kill him as a result of Ducos's plotting. Returning to active service in 1815 he served on the staff of the Prince of Orange, participating in the Battles of Quatre Bras and Waterloo. His faithless wife, Jane Gibbons, suffered the death in combat of her lover Rossendale, leaving her to fate and whatever would befall her. Sharpe spent a final month in service as the Commander of the South Essex Regiment, thereby confirming his regimental rank of Colonel, as it chased the remnants of Napoleon's Grande Armee back to Paris. He returned penniless to Normandy, leaving once more in 1820 to seek out Blas Vivar in South America (Sharpe's Devil), before returning home for the last time in 1821. Retiring in France, Richard Sharpe died in 1860, when he was 83 years old, and was buried on his estate in France. The funds he had earned from his adventure to Chile provided the means with which he was able to restore Lucille's ancestral home and turn the farm into a profitable estate. His son, Patrick, took his mother's name, Lassan, and much to his father's disappointment, joined the French Army as a Cavalry officer, serving in the American Civil War as an advisor to the Confederate Army and as a celebrated combat officer in the Crimean War. His daughter, Dominique, married a British nobleman, the Earl of Benfleet, and produced 5 children. Lucille lived another 12 years and according to her son always regretted that she had never married her English Rifleman. It is after the events of 1815 where Cornwell's books and the television Sharpe drastically split. In ITV's Sharpe's Challenge, the television Sharpe was to experience the death of Lucille in the Winter of 1816-1817. He was called back to duty by Wellington for a special mission: to stop a rebellion by a Mahratta Prince in the Rajasthan province of India. 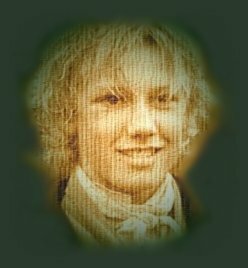 At first, refusing to accept the assignment, he relented when he found that Patrick Harper, his oldest and dearest friend, was missing somewhere in the region as a result of being employed as an agent by the British East India Company to collect intelligence about the situation. Once in India, his commitment was further reinforced when he discovered that an old enemy, William Dodd, was involved up to his neck in the plot. A further adventure in India, Sharpe's Peril, is soon forthcoming, taking up where Sharpe's Challenge left off as Sharpe and Harper march again, albeit in an attempt to finally go home for good. 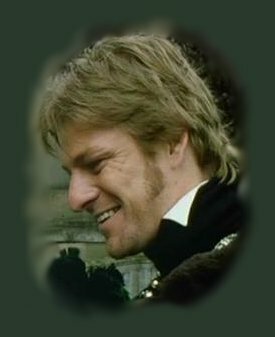 Who knows what the journey holds in store for them, but considering his past, you can be sure that Sharpe will certainly rise to any challenge that falls in his path and pity anyone who makes himself an enemy of Richard Sharpe.